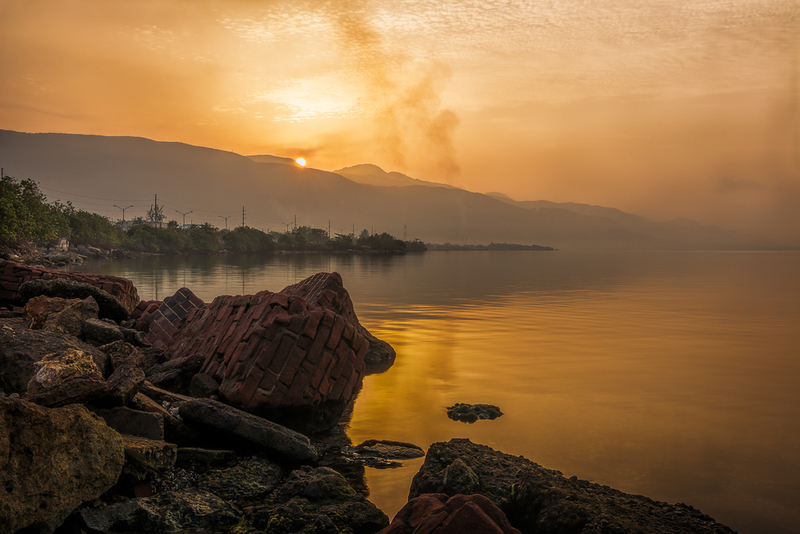 Hazy but beautiful sunrise in Kingston, Jamaica. A mother gives her child a bath in the Caribbean Sea as the Sun rises in East Kingston, Jamaica. 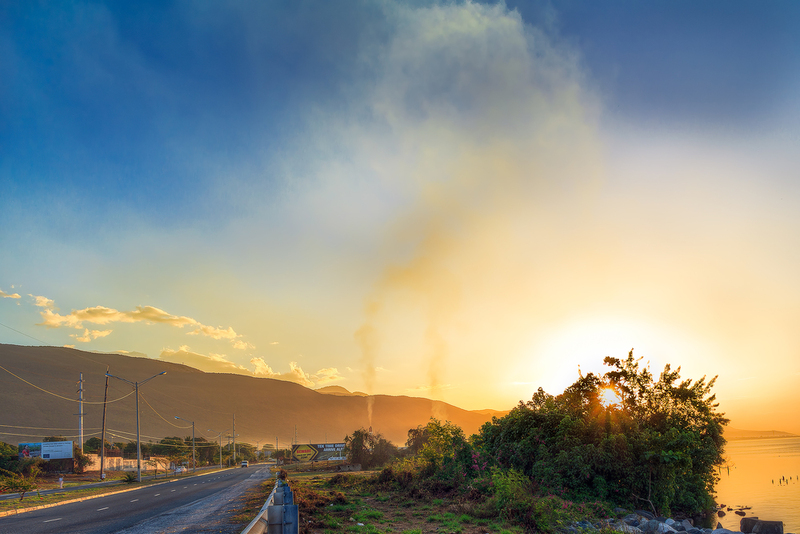 Norman Manley Blvd in Kingston, Jamaica. Fishing boats docked on Kingston Harbour in Kingston, Jamaica. View of Downtown, Kingston, Jamaica. Emancipation Park in Kingston, Jamaica. After the rain in Downtown, Kingston, Jamaica. 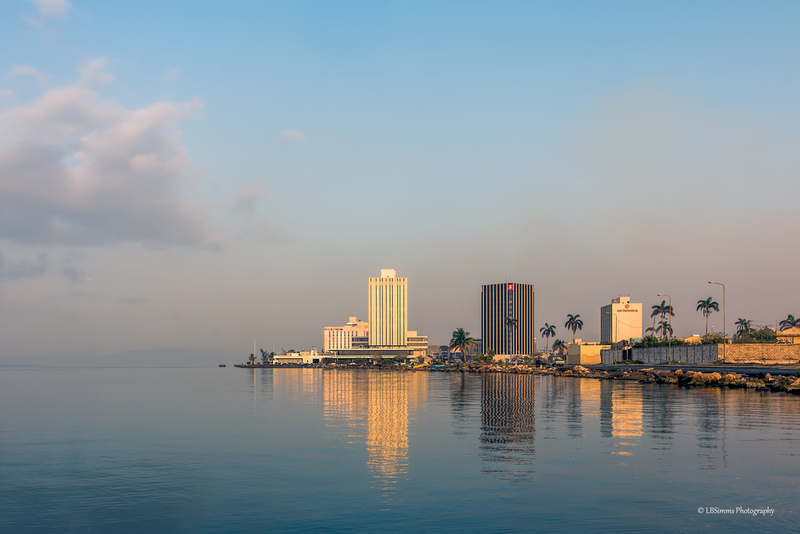 Reflections on the Kingston Harbour in Kingston, Jamaica. Plumb Point Lighthouse, Port Royal, Jamaica. View of Jamaica Cement Company, Kingston.